To complete your passport and visa application process on time and without any hassle, contact us and acquire the services of our experts. With our outstanding range of services, you will be able to complete the entire application process, conveniently. The process demands caution since a single mistake might lead to the cancellation of the process. And for that, the assistance of our passport and visa experts will be essential. When you join hands with us, we will make sure that the process becomes sorted for you. Our assistants possess extraordinary experience in the field. Our services come at affordable rates. For any information regarding our services, simply get in touch with us. We operate throughout Himachal Pradesh and all over India. 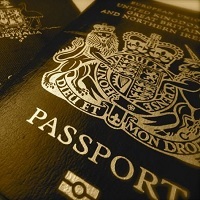 So, for all your passport and visa assistance requirements, we are just a call away!